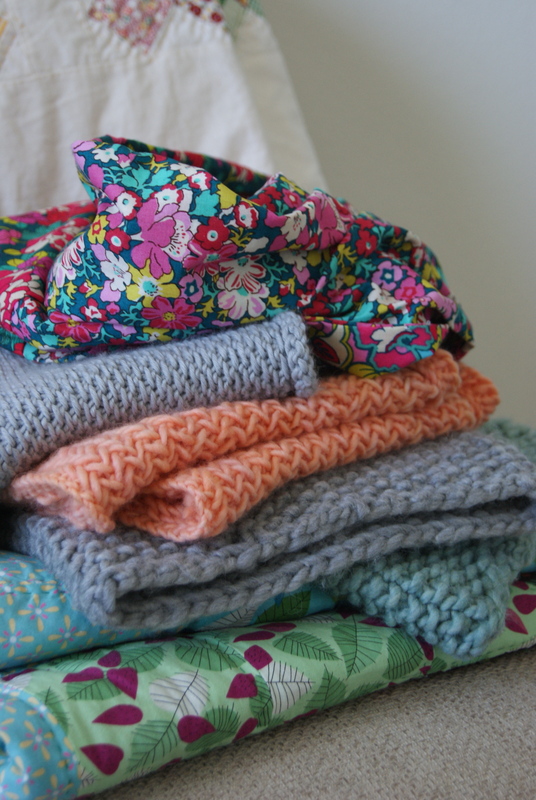 It may be time to admit that I don’t really need any more cowls. That’s five. Five. Since I knit the first one at the end of October (bottom right). We are not counting the four currently in possession of my siblings: three “short” Honey cowls, and one “man cowl” (another genius, and free, Knit and Bake knitting pattern), which I cannot photograph, because presumably they are on the necks of my best-loved in TN. So. Nine cowls. Notes on the five I own! 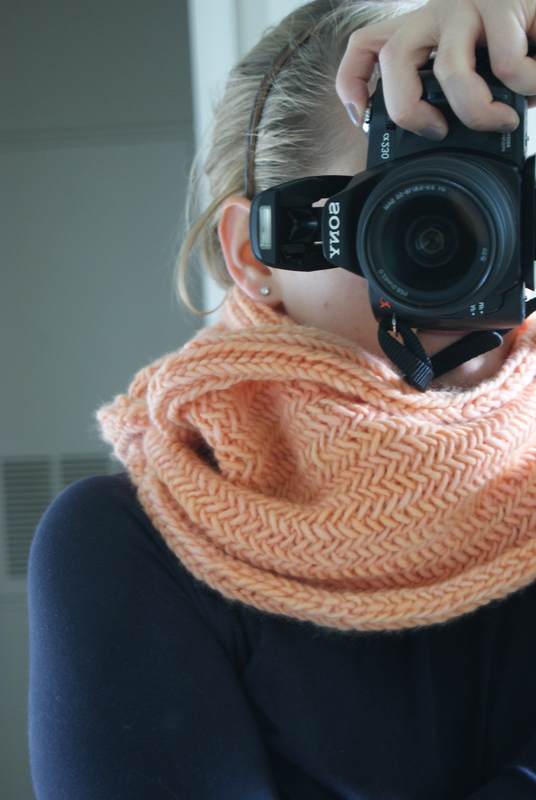 Cowls #1 and #2: This pattern from Knit and Bake. I can’t recommend it highly enough, it’s simple and genius. I used the Bernat Roving Yarn that she recommends, in Low Tide (#1) and Putty (#2). The Putty one came out much better than the first one, because I finally tightened up my yarn tension and made better stitches. And had to do less frogging. I love this one for when I’m actually wearing a coat, and don’t want a lot of extra material around my neck. 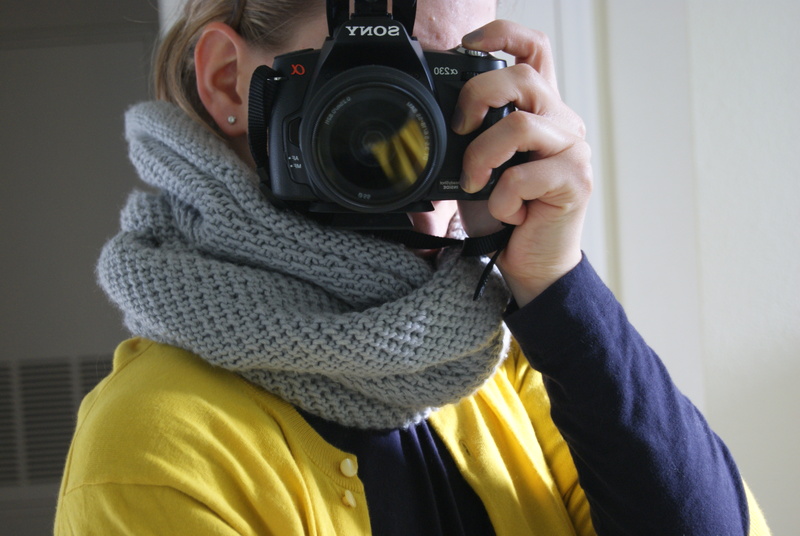 Cowl #3: The Honey Cowl, a free pattern by Madelinetosh. Because I was still not sure of my knitting abilities when I started this in November, I bought three skeins of Martha Stewart Crafts Extra Soft Wool Blend Yarn, color Gray Pearl, from Joann’s on sale. (I figured if I had to waste $18 of yarn, I could stomach that better than wasting $40-$50 of lovely hand-dyed Madelinetosh yarn.) It took a solid month-6 weeks to knit. But, oh, it was so worth it. Lest you think I’m hating on my Martha yarn, really, it is lovely. It’s a bit heavier than the tosh DK recommended in the pattern, but it makes for a heavier, drapier, squishier cowl. Oh my. Cowl #4: (after knitting two short Honey Cowls with tosh merino DK, in Edison Bulb and Pop Rocks, be still my beating heart) The Purl Bee’s Big Herringbone Cowl, knit the week after Christmas. I made another yarn sub, using two hanks of Malabrigo Worsted Merino in Apricot. 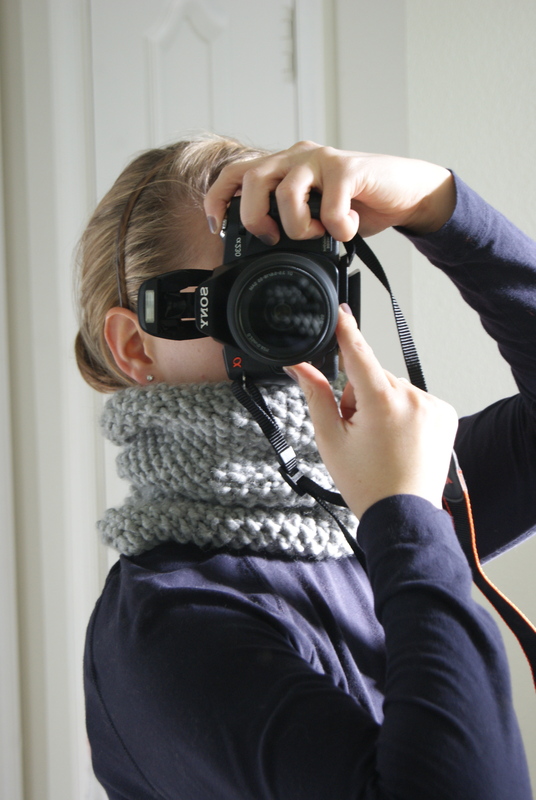 I’ve been on and off with this cowl. I made a lot of mistakes while knitting it, and have a funky “seam” running diagonally from top to bottom. The pattern was kind of a reach for me. But, look look. That? is pro pic material. It’s the cowl I have on right now, as I write. The Malabrigo knit up into a soft, itch-free, comforting cloudy fabric, and has been such a comfort to my sore and swollen neck this sicky January. Possibly it also needs to be blocked. If I am anything it is lazy. Moving on! Cowl #5: Yes, quilters, you can cowl too! 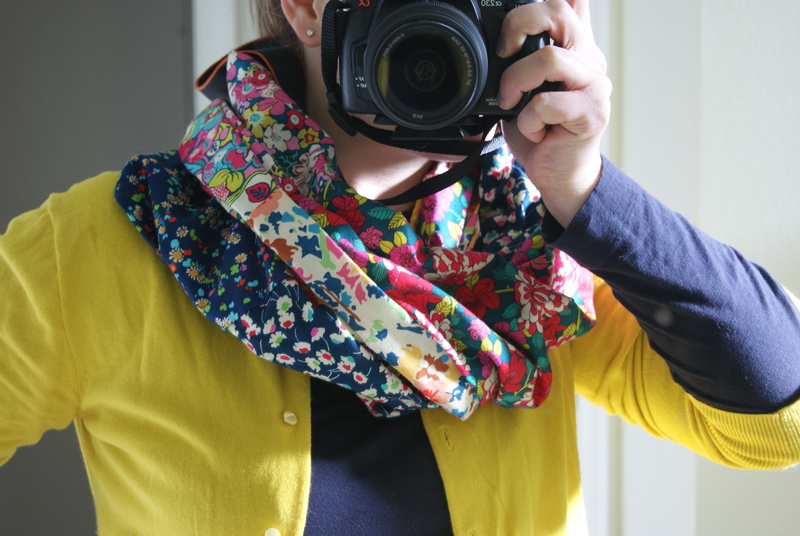 Of course you’ve seen/made/drooled over Anna Maria’s Figure 8 scarf by now. I’m thinking for spring I will treat myself to some voile and make one up for me too. 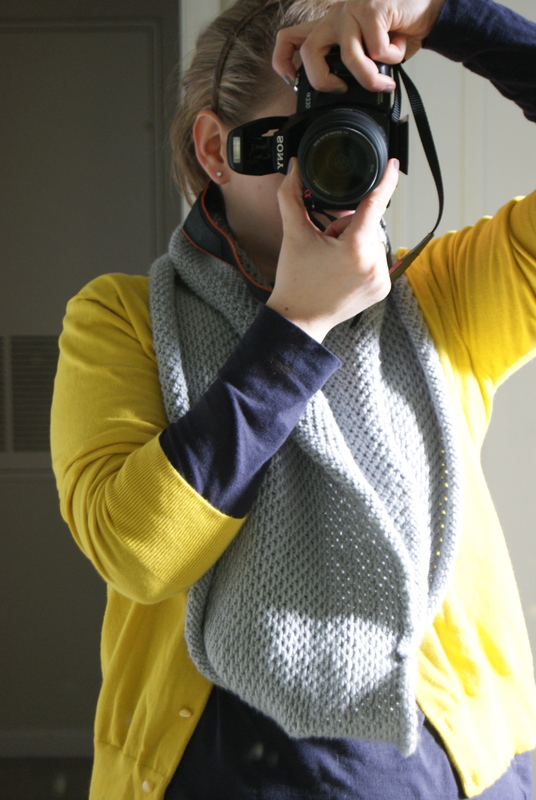 In the meantime, I saw the Patricia Infinity Cowl tutorial posted by Shannon of luvinthemommyhood. Not kidding, 24 hours later, I had made mine. It took literally 30 minutes from the rummage in the fabric box to the wearing on my neck. I didn’t have any Rock n’ Romance (sads 😦 ) but what I did have was a big hoarder-esque pile of Liberty Bloomsbury Gardens. It was meant. to. be. Happy Friday! Make something that makes you feel comforted and pretty this weekend. I hope to!